Does political control increase bureaucracies’ responsiveness to public pressures? Nowadays, probably more than ever, bureaucratic organizations and senior civil servants are directly exposed to public pressures, including media coverage, public protest and shifts in public opinion. In our recent article in Policy & Politics entitled Political Control or legitimacy deficit? Bureaucracies’ symbolic response to bottom-up public pressures, we explore what makes a bureaucracy more or less attentive and responsive to bottom-up public pressures – a question that stems from our broader concern with the responsiveness of government institutions. In our article, we suggest two possible explanations for bureaucracies’ attentiveness to public pressures. On the one hand, one might expect higher levels of political control to render bureaucracies more attentive to public pressures in order to preempt intervention by politicians who are reliant on public support. On the other hand, regulation scholars have suggested that autonomous bureaucratic organizations (such as independent regulatory agencies), which are subjected to lower degrees of political control, are nonetheless eager to display their attentiveness to public expectations in order to compensate for their “legitimacy deficit” as institutions which are not headed by elected representatives. We faced two highly challenging tasks in putting these research hypotheses to a rigorous empirical test. First, it is very difficult to find a large sample of bureaucracies that are exposed to a similar public pressure (or alternatively to find a valid measure with which to compare bureaucracies reaction to different pressures). Second, to compare the responses of different bureaucracies to public pressures one has to develop a valid measure for their attentiveness. To overcome the first methodological challenge, we took advantage of the large-scale social protests that engulfed the Israeli society during the summer of 2011. These protests were a part of a world-wide wave of large-scale social protests, which took place between 2011-2013, and included the prominent protest movements in the US (“occupy movement”), Spain (“15-M movement”), Chile (“the Chilean winter”), Brazil (“‘Confederations Cup’ protests”) and Turkey (“‘Taksim Gezi Park’ protests”). In Israel, the protesters’ agenda encompassed a very wide array of policy issues. The protesters contested the excessive cost of goods and services, widening inequality, and the consequent erosion of the standard of living of young, middle class Israelis. 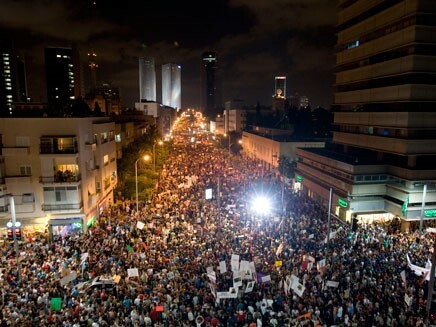 Demonstrations attracted almost half a million participants (which amounts to 5% of Israel’s population), and, most prominently young, educated, middle-class citizens. In addition, the protest movement gained far-reaching public support which was amplified by a favourable media coverage. As a result, the Israeli social protests exposed all bureaucracies to a salient signal of public dissatisfaction, and demanded at least deliberation of their response. Therefore, these protests provided a unique opportunity to compare different bureaucracies’ responses to a, more or less, uniform pressure from the public. Accordingly, we produced a diversified random sample of 36 Israeli bureaucratic organizations, and analyzed whether subjection to varying levels of political control shaped their responses to the social protests. As for the second challenge – the operationalization of bureaucracies’ attentiveness to public pressures – we chose to focus on their communications with the public. Specifically, we used bureaucracies’ expenditures on public campaigns / advertising as a measure for their symbolic response to the social protest. Public campaigns convey a positive message about bureaucracies and their operations, and they often involve explicit promotion and branding of bureaucracies and their services. 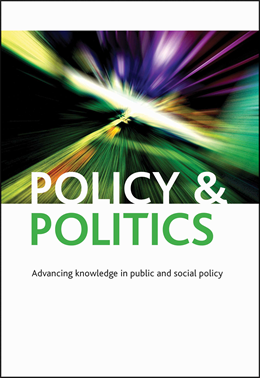 We argue that bureaucracies’ investment in public campaigns represents not only information provision, but also their choice to demonstrate the value of their services and their attentiveness to public concerns. Thus, by comparing the expenditures on advertising of different bureaucracies before and after the protest we were able to account for their responses to the protests, or at least their symbolic responses. To illustrate the validity of our measure, we give a vivid example of the Israeli Ministry of Housing and Construction’s public campaign for housing-purchase grants, which was launched shortly after the protests. The campaign ads involved pictures of middle-class young families exceedingly happy to discover that they are entitled to a grant to buy a house, due to the new program. The Ministry signaled its attentiveness to the protesters by framing the housing-purchase grants program as a response to the protest agenda. Turning to the results, our statistical analysis firmly shows that political control enhances bureaucracies’ attentiveness to public pressures. Traditional ministries and state-financed bureaucracies, which are subjected to higher levels of political control, significantly increased their expenditures on public campaigns in response to the social protests. Conversely, we found that autonomous agencies did not increase their expenditures after the protests. Rather, they were inclined to decrease their expenditures. These findings, therefore, do not lend support for regulation scholars’ expectation that legitimacy deficit renders independent agencies inclined to seek public legitimacy in face of public discontent. If anything, they imply that autonomous agencies strategically sought to keep a low public profile amidst the protests. These findings challenge the assumption of regulation scholars that one may enhance bureaucratic professionalism, via an independent status, without losing the benefits of democratic accountability. These findings, if generalisable, have important implications for governance reforms. They suggest that the creation of autonomous agencies, in pursuit of a professional and non-politicised administration, may result in a decreased responsiveness to shifts in public opinion, and specifically to social protests. 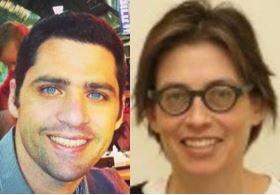 If you enjoyed this blog entry, you may be interested in Sandra Jacobs and Thomas Schillemans’ Media and public accountability: typology and exploration.